ELECTRONIC FUEL INJECTED (EFI) 149 CC ENGINE: EFI for consistent starting, improved idle quality, and a crisp linear throttle response. 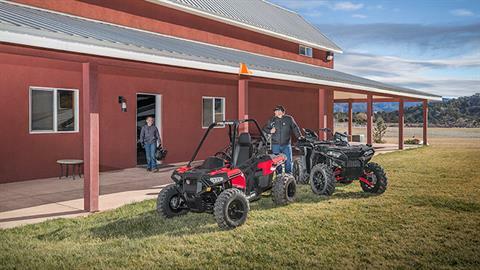 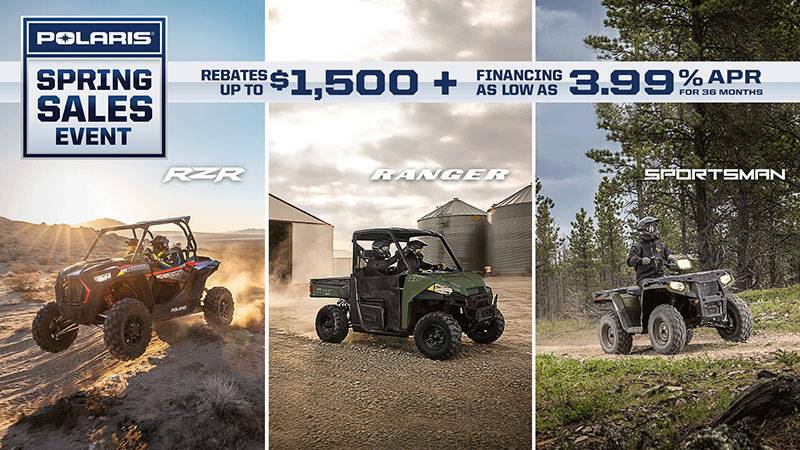 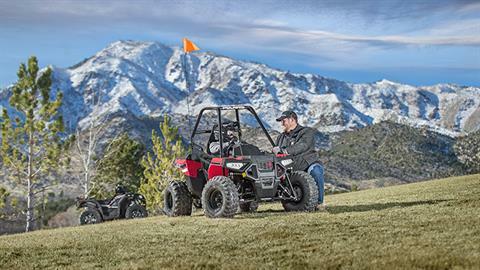 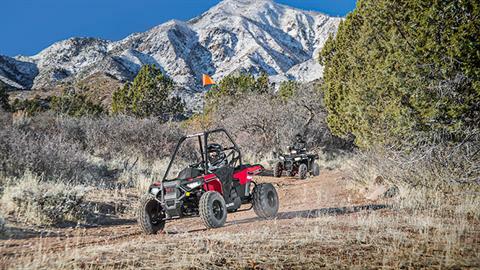 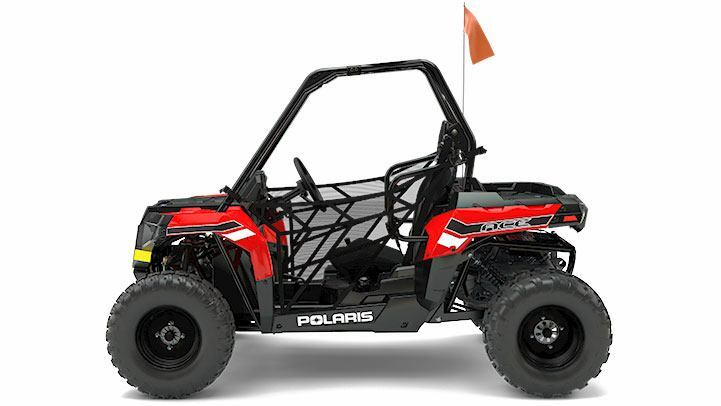 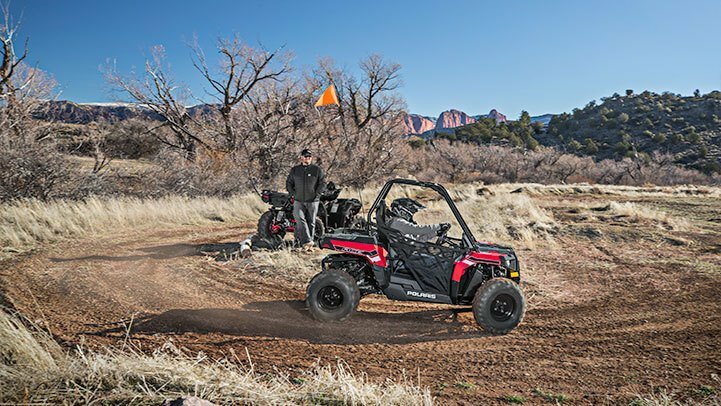 ACE 150 comes standard with electric start and automotive style controls so it is easy to hit the trail. ADJUSTABLE ERGONOMICS: Tilt steering and 5.7” of seat slider adjustability for growing kids. STANDARD SAFETY FEATURES: Includes 1 youth helmet, LED daytime running lights, seat belt, and a safety whip flag as standard equipment. LONG-TRAVEL FRONT AND REAR SUSPENSION: Bumps in the yard and on the trail are soaked up by 5" of suspension travel up front and 6" of travel in the back. Plus a full 9 inches of ground clearance give the ACE 150 more off-road ability. 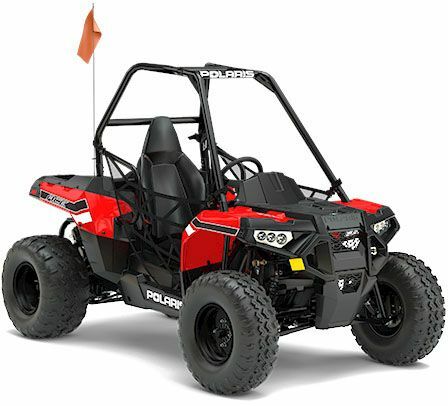 SUITABLE FOR AGES 10 AND OVER: This vehicle is for recreational use by young operators 10 and older while under adult supervision.